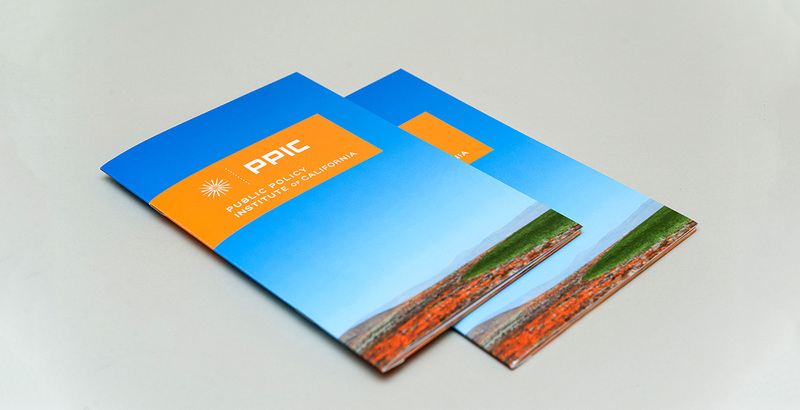 Afstudio Design hired me to collaborate with them on a re-design for a marketing brochure for Public Policy Institute of California (PPIC). 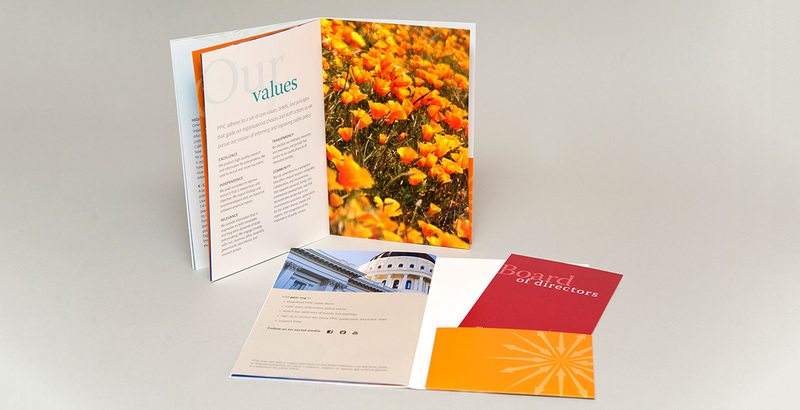 The client wanted a professional marketing piece that showcased the natural beauty of California while educating its audience on the merits of the organization. 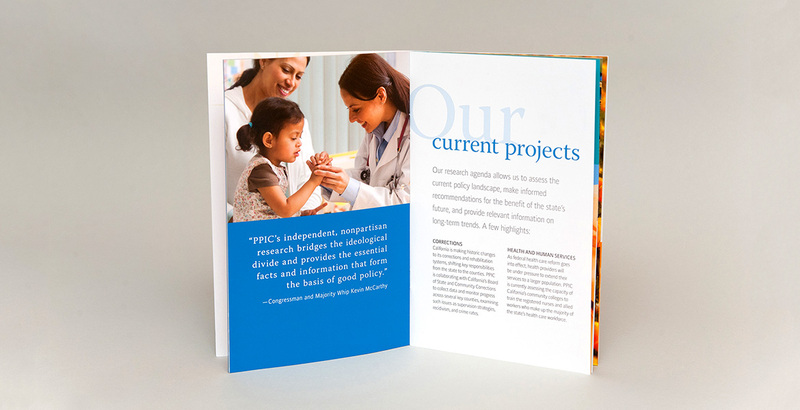 Working together, we created and developed a look & feel utilizing an organic color palette with bold imagery and classic typography. We then applied the style to the 20 or so spreads in the brochure.